a wicked prank; a critic’s wicked wit. a wicked curveball; a wicked imitation. 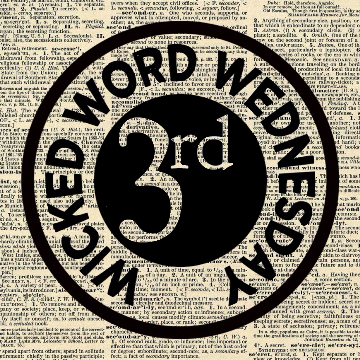 A Wicked Word is revealed on the first and third Wednesday of the month. The Wicked Word is chosen using a few mathematical algorithms and the New American Heritage College Dictionary. Then, it’s up to you to compose a post around that word. Be creative with your poetry, prose, or just try some free writing! Create something that will move and inspire! I welcome all writing forms; however, avoid graphic/excessive profanity or overtly disturbing mental images. Use your common sense. 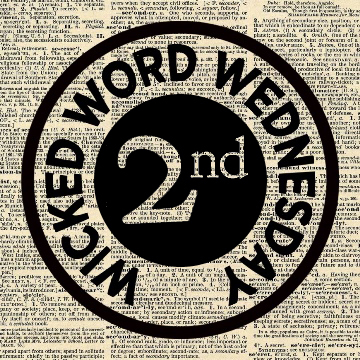 One entry per person per Wicked Word. You must post your entry in the comments section of the current challenge. Only the entries in the comments section are are eligible for voting. Include your Twitter handle or a pseudonym. Feel free to post you entry on your own blog, too! Be sure to link back to the current challenge so others can join in the fun! At the very least, you also want your followers voting for you, right? When Can I Submit An Entry? 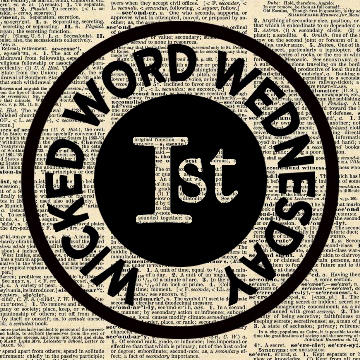 On the first or third Wednesday of a month, a prompt will post at 00:00 (Eastern Time). You will have until 00:00 (Eastern Time) of the following Wednesday to submit your entry in the comments section. Any entries time stamped after that time will not be eligible. For sake of clarity, I am on New York Time. Still confused? Check the World Clock! Comments with the most “likes” will be declared the winners. So, get your friends, family, and fellow bloggers involved! While you’re at it, encourage them to participate, too! Voting ends at 00:00 Saturday following the close of comments. At my discretion, there will be up to three winners each week. In general, the top three comments with the most likes will be declared the winners. In case of a tie, I will read the comments to my cat Smokey, who as Lord High Master of All He Surveys from the Sunshine Spot on the Sofa shall be sole arbiter and judicator. I also reserve the right to award an Honorable Mention if circumstances call for it. Winners are announced Monday or Tuesday here on the blog as well as on Twitter and Facebook. Read other blogs and comment! Help grow the Wicked Words community. The life of an artist can become cloistered and lonely without a network of positive creative types. Invite others to join in. This is for fun, creative inspiration, and a great way to connect with other creative types. What If I Win Wicked Word Wednesday? Did I mention you get bragging rights and a cool badge to post on your site if you are a winner? These badges are 360×360 pixels. You may resize them as needed. I am greatly indebted to Grace Black of Three Line Thursday for the basics of the event guidelines. Thanks; I look forward to seeing you there! Sounds like fun but too complicated for me yet. I’ll be watching though. Thanks for taking a look around; watchers always welcome! I will have to learn how to get these guidelines into my head, Totally would love to participate. This sounds like more fun than I thought I’d have with blogging. I love it! Your logos are really great! Now this sounds like something I could really wrap my mind around. Thanks for coming up with the idea. I’m assuming you have a WordPress hosted site. Save the image to your computer and upload it to your media gallery. Then, go to the WP Admin page (aka the Dashboard) and from the list on the left-hand side select Appearance – – Widgets. Drag and drop the “Image” widget to the region where you’d like the badge to appear, and insert your badge! I’ll stop in here on Wednesday. I love word challenges! Found your blog on community pool! This challenge is a fantastic idea! I would like to participate next time. Would that be the Wednesday in the upcoming week? I haven’t done a contest in over a year. Perhaps I’ll revive it since WordPress stopped doing the daily prompt.